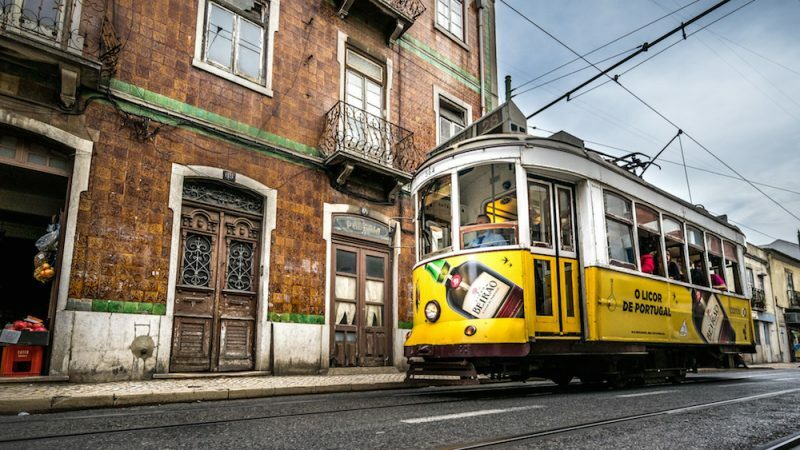 Where to Eat Out in Lisbon Like a Local? 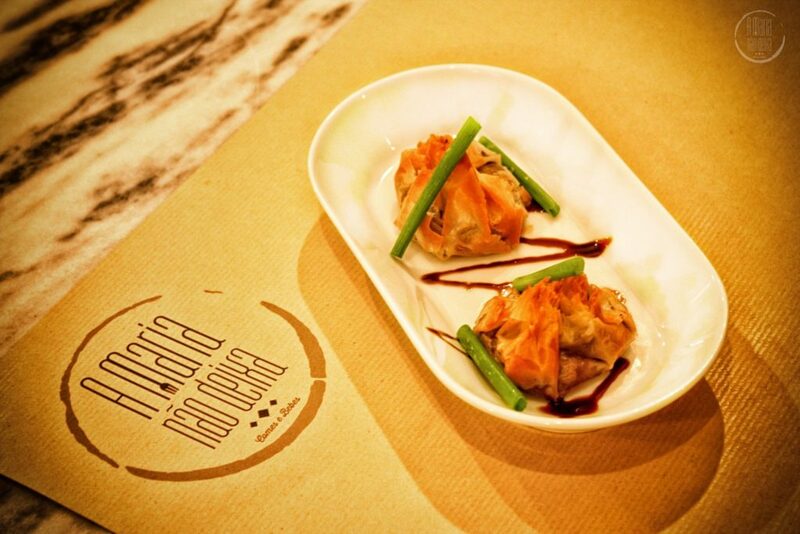 Which are the best restaurants in Lisbon if you wanna eat like a local? 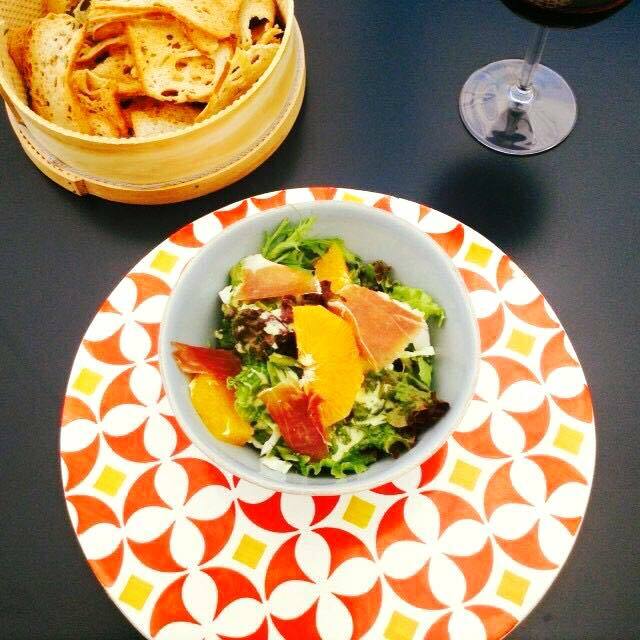 Check out Sandra’s top picks: 10 places where to eat out in Lisbon like a local and be extremely happy. I have never explored and written so much about food in Lisbon since I became a freelance travel writer and blogger in 2014. Since I was always a picky eater, this came as a surprise to friends, family, and even to myself. I guess practice makes perfect (or maybe three months in India away from Portuguese food had something to do with it), and I’ve been happily exploring new places to eat in Lisbon in the past year. Sometimes I look for restaurants on purpose and sometimes I find them by chance, but I stick to one rule as much as possible: I look for family-owned places or small businesses. I think the big chains have enough profit and media exposure already, so I’d rather contribute to my city’s economy by shedding the spotlight elsewhere. 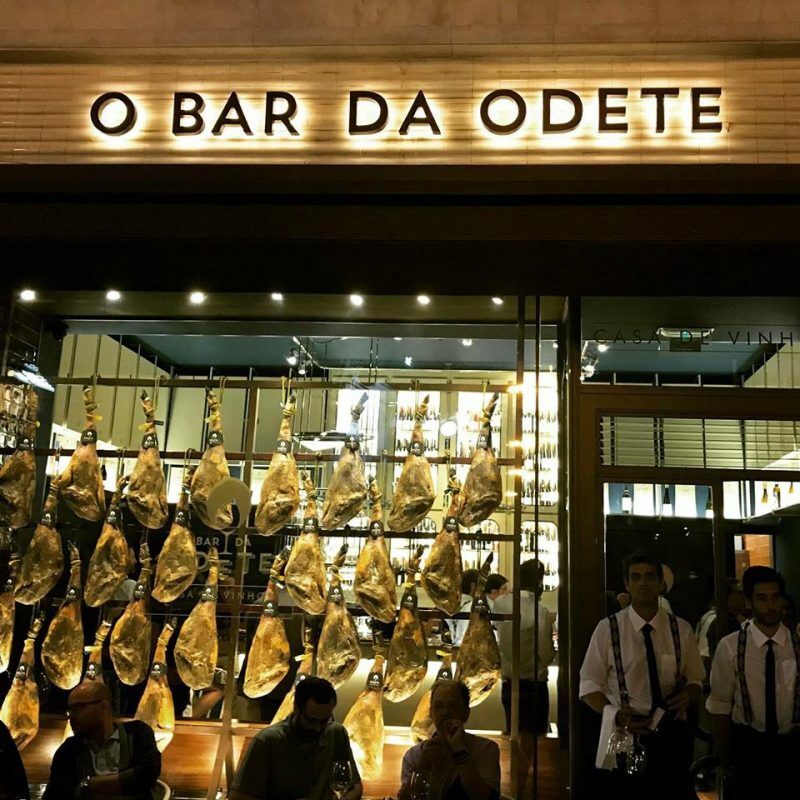 This was a hard selection to make, but these are my top 10 places in Lisbon to get the best of Portuguese cuisine (including a wine bar and a place for dessert). In a nutshell, the best bacalhau à brás in town. Portugal is famous for bacalhau (salted codfish) dishes and legend has it that there are over 1000 different ways to prepare it. That said, finding a place that does it well is harder than you think. Yes, even if they advertise it in capital letters on the menu. When I visited this family-owned restaurant for the first time, it was five minutes past the opening time. The waiter was about to tell me the daily specials when I stopped him to say “I only came here for one dish; do you have it today?” My question was welcomed with a genuine laugh, “of course! That is always on the menu!’ Fried cod mixed with eggs and French fries don’t sound like the most appealing of dishes and it doesn’t get better when the tray gets to the table either. Sure, the presentation isn’t the forte of this backstreet, easy-to-miss restaurant, but they don’t need the smoke and mirrors to convince you. Their version of bacalhau à brás is the lighter and tastier I have tried in my life (and I’m pushing 40). Tasca is often translated to chophouse but that isn’t entirely accurate. I see a tasca as one of those places small in size but huge in food portions, where city workers used to go on their lunch breaks for a homemade affordable meal and one too many glasses of questionable quality wine. 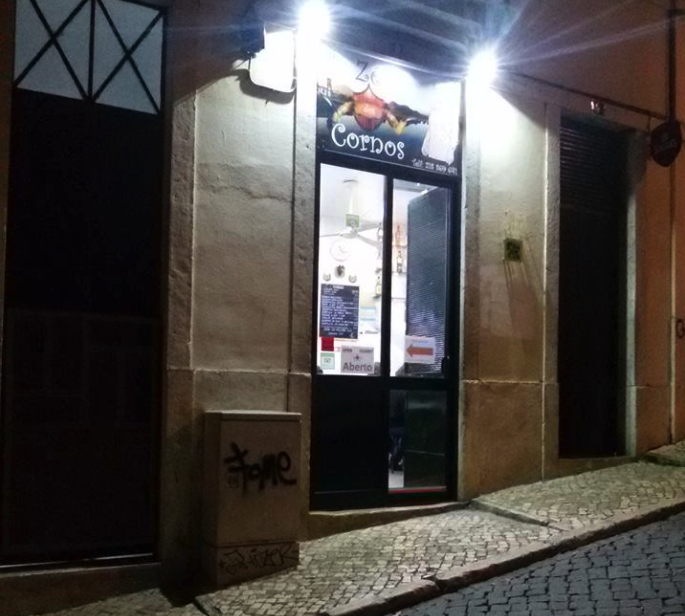 That’s what you get at Zé dos Cornos, a family-owned restaurant in the Mouraria quarter, except the wine is good. The place is so packed during lunch, that whether you like it or not you’ll end up sharing your table with strangers. Don’t get too anxious with the fast-and-furious speed of the service; they’re never rude, just very efficient. 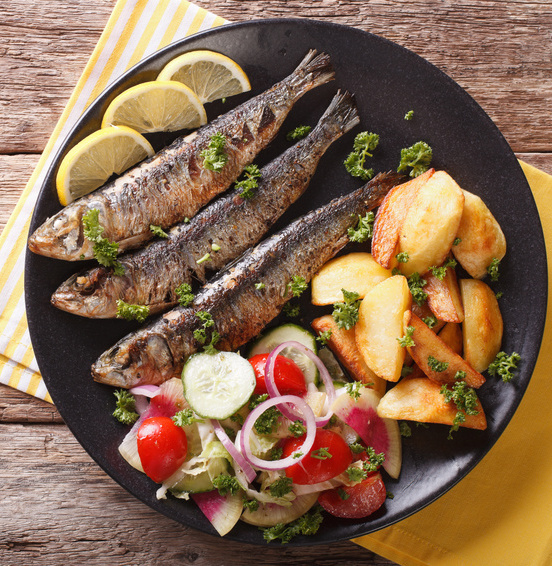 The husband works the bar, the wife is usually on grill duty, and, occasionally, the son helps out as a waiter, translating the menu for tourists who are usually undecided between grilled sardines or bacalhau. I’d choose neither. I think meat, charcoal-grilled, is their strong suit. It’s not that not all food is great, is just a matter of personal preference. I’m from the Azores, the Portuguese nine-island archipelago two hours from Lisbon, so I’m about to get really personal here. I miss my homeland’s food a lot and most of the ingredients I can’t even find on the mainland (not that I’m a skilled cook, but still). 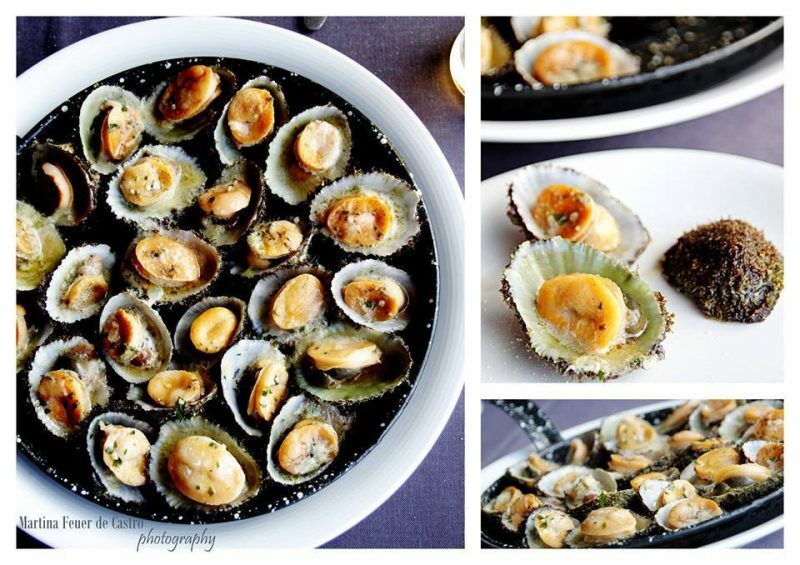 When Azorean islanders tell you that everything tastes different there, believe them. But, it’s not like I can hop on a plane whenever I want to visit the islands, so when I’m really homesick Espaço Açores is the place for authentic, homemade Azorean food. There are three secrets that make this restaurant a success: the cook is from the Azores (so she knows how things are done), the ingredients are sourced from the islands (so you’ll get high-quality fish and beef right from the middle of the North Atlantic Ocean), and the seasoning reminds me of my mother’s food (like all Azoreans, my mom tends to go crazy with the cumin but hey, overall it works). I’ll refrain from answering the question “what to eat” with a vivacious “everything on the menu!” Last time I checked, humans only had one stomach. So, if you’re not picky with your food, try some lapas (limpets in English) and erva patinha patties (made from algae that are usually stuck to the limpets). Islanders make the best of what they got and it shows in a lot of things, not just food. If you’re unsure, you can’t go wrong with fish or beef. My favorite comfort food is a kind of pork sausage (linguíça in Portuguese), deep fried, with boiled taro root (we call it inhame, which sounds a lot like yam, but it’s completely different) or baked sweet potatoes. This is place is a hidden-in-plain-sight kind of restaurant. Unless you’re heading in that direction, you could easily pass by this building without realizing the bland façade hides two treasures: a 17th-century palace and the best typical Alentejo cuisine in the city. Alentejo, in the South of Portugal, is famous for wine, bread (thanks to once being the largest cereal-growing area in the country), cheese, desserts (the ten-seconds-on-the-lips-five-hundred-years-on-the-hips kind) and a very relaxed attitude. They make no fuss about it, they cook for big eaters. Well, back then the field workers needed all the calories they could get. Once you’ve finished admiring the Moorish architecture style of the inner courtyard, you have two choices of rooms. Either you pick the more formal, restaurant-type on the left, with intricate decorations and chandeliers hanging from the ceiling, or you go for the more laid back, casual tavern-style in the back. Whatever the decision, expect the same high-quality food and drinks. Definitely taste as many different cheeses as possible, paired with any kind of Alentejo wine, and bread. You can easily make a meal out of this. Leave room for dessert. Like a big, comfortable, welcoming room for dessert. The toucinho do céu (in English, bacon from heaven, although it’s not actually made with bacon), in all its eggy, almondy glory, is worth it. If Portugal is famous for bacalhau, might as well have a restaurant completely dedicated to salted codfish, right? That was more or less the reasoning behind opening this restaurant in a quiet alley at Cais do Sodré. The place – once a salt warehouse, then a bar, then a heavy metal club, then a bar again – is not easy to find but they usually set a cute sign at the corner pointing you in the right direction. I’ll be honest with you, you really have to be enthusiastic about eating bacalhau even though they have a few meat options on the menu. Salted codfish doesn’t have that fishy taste, which is a plus if you’re not a fish person, and this place brings back the old grandma’s recipes but with a modern twist. I tried the pataniscas (codfish fritters), one of my favorite dishes, with lime mayonnaise and I confess I was a bit skeptic about the combination. But that only lasted a split second between thinking it and tasting it. My lunch started with a conversation around what was that place before it was a restaurant (it happens a lot in Lisbon, especially in Cais do Sodré) and ended with a tip on where to buy antique fishbone chairs in great condition like the one I was sitting on (if you don’t mind, I’ll keep that secret to myself). I love a restaurant with a pun in the name. That usually means there’s an interesting backstory. In this case, the name A Maria Não Deixa (in English, Maria doesn’t allow it) came to be during a business meeting where partners were making some construction decisions, to which, you guessed it, Maria didn’t agree to. Maybe it’s just me who finds it funny but at least it saves you the trouble of asking the waiter about it. Although he was polite, I had the feeling it’s the kind of thing he’s asked a lot. Well, I sort of stumbled into this restaurant after visiting three different places in the same day serving Americano coffee and brunch. It’s not that I don’t enjoy a nice brunch and a large coffee every now and then, but when I see it all the time everywhere, I lose interest. I was intrigued by the name that somehow didn’t fit the pub-like feel and celebrated (with my inner voice) the menu that called petiscos snacks instead of Portuguese tapas (there is no such thing). They serve the same dishes you would find in a hole-in-the-wall kind of restaurant but a little more presentable. Absolute must-try classics: peixinhos da horta (a kind of green bean tempura), picapau (diced beef fried in garlic), and salada de polvo (octopus’ salad). First, the branding in this place is spot on, an Instagrammer’s dream. Second, they sell what they say they sell, it’s not just the pretty image. Third, it’s another place with a backstory. Before visiting, my research showed me this was a takeaway sandwich joint with a high cuisine approach and I immediately thought “yeah, right”. I don’t get too caught up in websites with great copywriting before actually going to the place. When I got there, the co-owner was happily chatting away with customers but that didn’t stop her from excusing herself to give me her full, undivided attention while explaining me the concept of the restaurant and their focus on lobster. This is golden-star-worthy service in my book. From there, it only got better. She told me how, after traveling the world, she wanted to open a different kind of restaurant, something completely new in Lisbon, and felt inspired by the lobster places in Maine. Portuguese still think lobster is only for the rich, so she wanted everyone to be able to afford it without compromising on quality. The simpler way was to open a casual, sandwich joint. 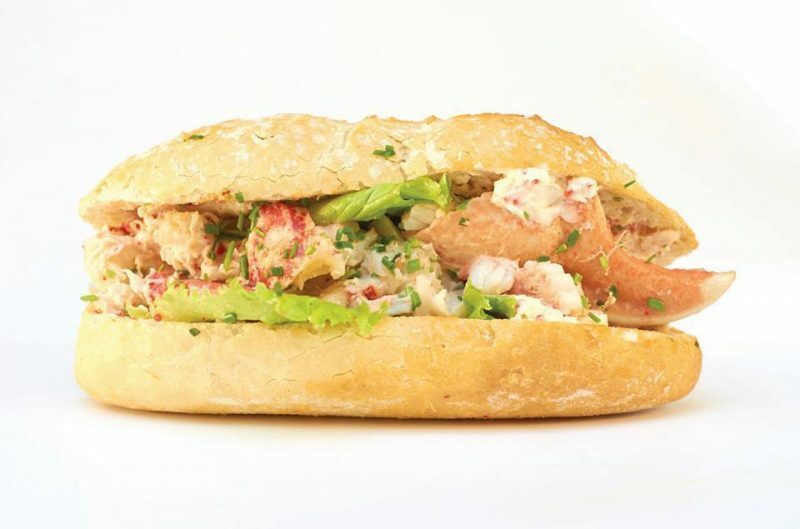 The top choices on the menu are Miss Diva (the sandwich that started it all), Lob Curry (following an old family recipe), and Clam Chowder (not a dish you will find often in Portugal). I already mentioned how I found a restaurant while escaping from restaurants with brunch on the menu. I don’t dislike brunch but I prefer restaurants that set themselves apart from the competition. Which leads me to this restaurant in Alfama that, well, serves brunch. I wanted to go in for a quick meal but it wasn’t even noon, so I embraced the waiter’s suggestion of having a “lazy meal” – a sort of Portuguese version of brunch. When you look at it – eggs, cheese, grilled tomatoes, bread, homemade cake – it doesn’t feel like a real brunch. Quite honestly, it looks like people threw in all the leftovers they had in the house. So, what’s the catch here? None. It is supposed to look like people threw in all the leftovers they had in the house because that’s what Portuguese “lazy meals” look like. And the combination tastes exactly like Sunday mornings lounging in the couch binge-watching Netflix. I love wine but I dislike wine bars. They all seem to have that cellar-like dark atmosphere, where wannabe sommeliers twirl their glasses before holding them to the light. In a nutshell, typical wine bars make me feel unfit to be there, almost like if you know nothing about wines, you have no business being in a wine bar. Granted that this might all be in my imagination, but I’m trying to prove a point here. Enter the bright-white, 1930s-inspired, sleek and casual bar with suspenders-wearing waiters and hams hanging on the window to shatter all that. The short story is Odete Cascais, Time Out Lisbon’s fictitious wine critic, decided to open a wine bar in Rossio. The long story is the bar hopes to instill in locals the long-lost tradition of drinks after work, with wine by the glass, ham, cheese, and sandwiches. All wines are Portuguese and handpicked by the critic, and there is no wine list. You either know what wine you want and choose from the bottles on display inside the bar, or you allow the waiter to select the perfect wine for you. I went with the recommendation option and it was spot on. Portugal has a centuries-old tradition of conventual sweet treats and desserts,, sweets that follow recipes developed by monks and nuns in convents (hence the conventual). The final product varies a lot but the ingredients come down to three basics: sugar, egg yolks, and almonds (more in the South, Alentejo and Algarve, than anywhere else). For now, I’m skipping the lecture on these sweets and focusing on ice cream. Pascoalini is the first Portuguese brand of artisanal ice creams. That doesn’t sound too exciting or Portuguese, does it? I mean, it’s ice cream. Can’t everyone make ice cream? Wait for it. Pascoalini deconstructs typical Portuguese conventual sweets and turns them into ice cream. Be mindful of the sugar rush, especially if you’re going for their famous Celestes ice cream. Don’t just take the employee’s word for it, taste a sample to see how well you can handle the sweetness. I think they made it a takeaway-only shop on purpose, so people are forced to walk up and down the Lisbon hills burning calories while eating. This post has been written by Sandra Henriques Gajjar, a writer born in the Azores and currently based in Lisbon. Since 2014 she’s been blogging about travel, culture, and the people she meets in between at Tripper, a blog about cultural travel to offbeat destinations.